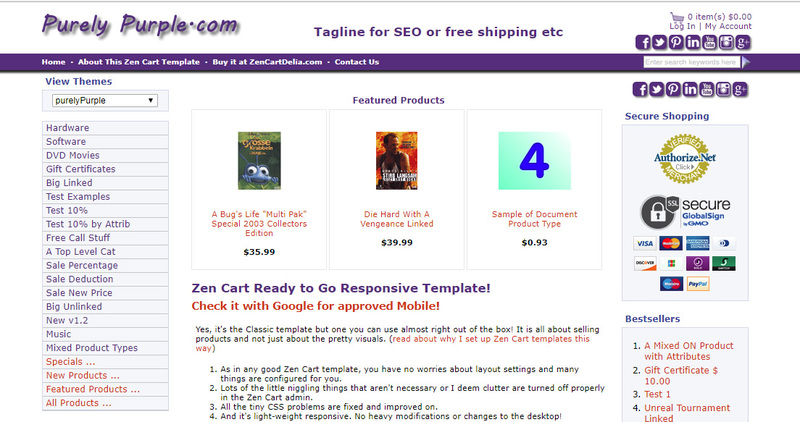 Zen Cart Responsive Ready to Go Template - Fully customized and installed just for your business. This is the basis for all my custom template work - I can't live without it and you'll find it the easiest way to install and configure Zen Cart. The whole point was to create a template to sell. It's not about beauty - as simply attractive as these are - it's about selling products. 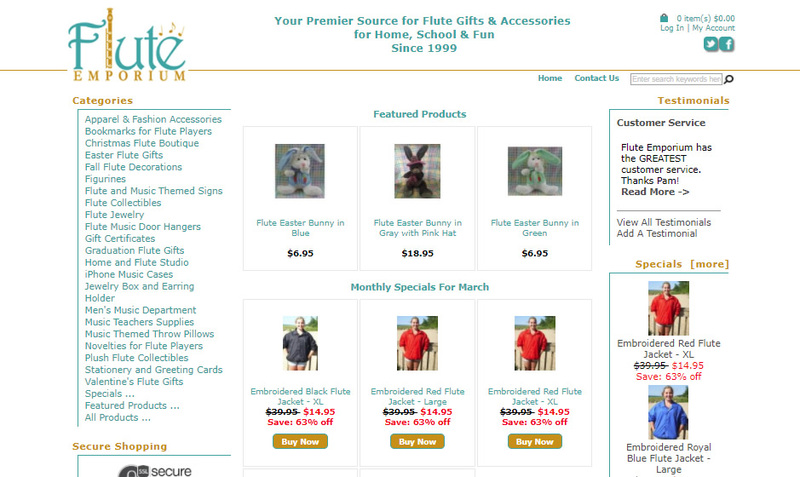 All mods, layout and design are just to heighten your website's ability to sell. No frills, no bells & whistles. Just a website to sell - and make money off of! It's also now responsive - designed for clean, fast loading - and you can still have the desktop look you signed up for. It passes Google's mobile friendly test. Now you don't have to have the zen cart layout for the desktop that mobile decrees. This template was designed for desktop and then adapted to mobile. A better solution than the usual! The devil is in the details and this template has a lot of details not noticeable at a glance. See this blog post for more information with accompanying screenshots. Simplest Lightbox, lightweight lightbox for product main image, attributes and additional images. It's the only jQuery I prefer to use in a shopping cart and it only loads on the product information page. NEW! 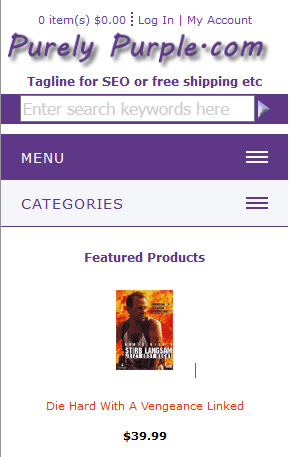 Shopping Cart in the Header and Shopping Cart with EZpages bar, easy to turn on or off. Social Media Sidebox - automated icons with CSS formatting, change to match any site template - see above right. NEW! Secure Shopping Sidebox with admin configured for authorize.net. Read why this is important. With automatic credit card images - full set of attractive icons included. See it here with all icons and in real use here. I only buy Global Sign secure certificates and they have a clickable image. I always include that in the box when I can. Inexpensive way to give your customers piece of mind and increase your sales! Image Handler, caches and resizes image. A must! The only mod I always install. MailChimp Integration, now easy to set up! 2 extra sideboxes - one for the login page and a quickie short one for the header. This is full integration unlike the free mod on zencart.com. CKeditor for admin, the only approved editor for the Zen Cart admin, UPS, USPS shipping which are no longer included in the default package. 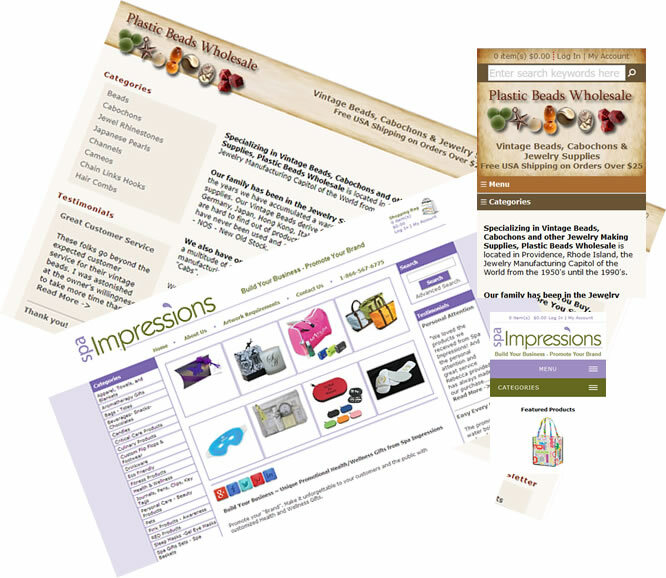 COWOA and the Streamlined Checkout, EZPages in Sitemap, Save Layout Boxes -- and more!